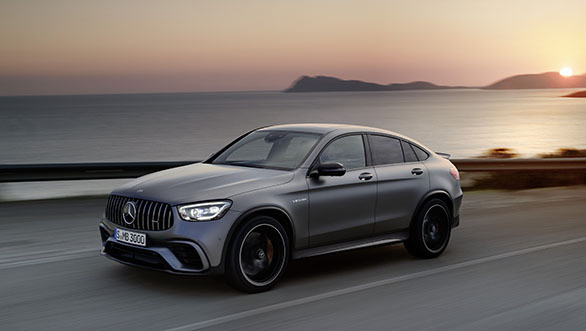 Mercedes Benz unveiled the facelift GLC SUV at the 2019 Geneva Motorshow and the GLC Coupe followed soon after. 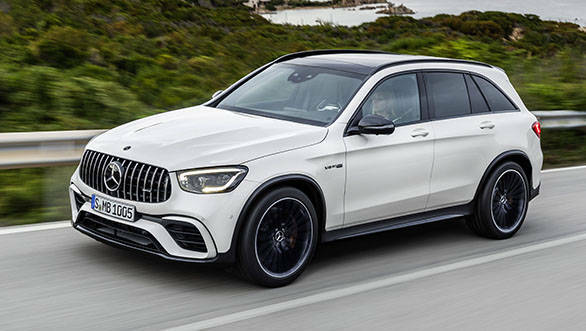 This time around, the more athletic versions of the SUV and the Coupe have been unveiled at the 2019 Shanghai Motorshow - Mercedes-AMG GLC 63 and the GLC S 63 Coupe. To begin with the Mercedes-AMG GLC 63, the souped-up SUV offers more bang as it has been treated by the guys at AMG. To set it apart from the standard GLC, the GLC 63 gets redesigned head and tail lamps. The AMG GLC 63 gets the signature pan-American grille. As an option, the SUV will come fitted with 21-inch lightweight alloy wheels. AMG paints the SUV in a new graphite grey colour. 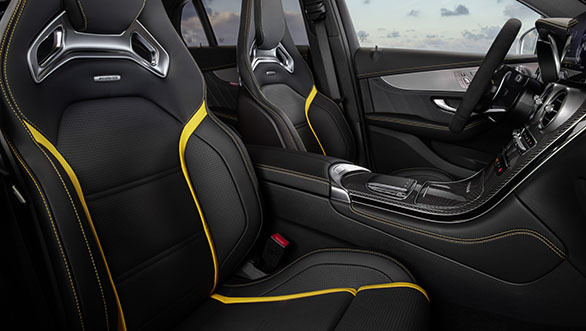 The cabin will have the AMG steering wheel and upholstery in magma grey or black with yellow contrast stitching. (The AMG steering wheel is standard with the GLS S 63 Coupe). 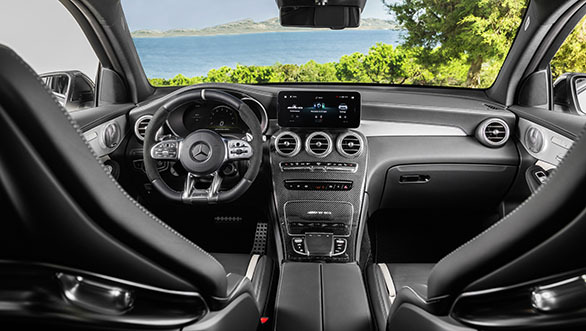 The GLC 63 will also get AMG specific functions with the MBUX (Mercedes Benz User Experience) such as the - touchscreen display, accelerated voice control and optional gesture control. Powering the GLC 63 and the GLC S 63 Coupe is a 4.0-litre V8 engine. The GLC63 SUV gets it in a state of tune to produce 482PS and 650Nm while the one in the Coupe produces 517PS and 700Nm. AMG has added a new driving mode - slippery, and both the AMGs get electronic locking differentials, dynamic handling control AMG dynamics forms. Three in the SUV and four in the Coupe. 0-100 kmph time for the SUV is four seconds whereas the Coupe makes the same run in 3.8 seconds. The top speed of the GLC 63 SUV is 250kmph while the GLC S 63 Coupe has a higher top speed of 280kmph.